Mr. Weingarten is a member of the firm’s Executive Committee and a member of the Land Use and Zoning and Government Relations practice groups. He represents owners and developers of commercial and residential real property and advises clients on other complex commercial matters. Mr. Weingarten is also a registered lobbyist in New York State. Prior to joining the firm, Mr. Weingarten was a partner in the law firm of Weingarten & Weingarten; special counsel to Robinson Brog Leinwand Reich Genovese & Gluk, P.C. ; a partner in the law firm of Lihn & Weingarten; and an associate at the law firm Gordon Hurwitz Butowsky Weitzen Shalov & Wein in New York City. 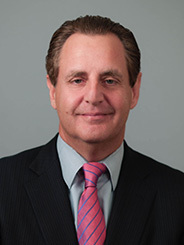 Mr. Weingarten has acted as lead counsel in connection with billions of dollars of land use and development approvals for urban renewal, infill, commercial and residential projects totaling millions of square feet of development in the Hudson Valley Region. Mr. Weingarten is the recipient of the March of Dimes Real Estate Award. Mr. Weingarten was cited in the New York Times as one of the top five land use attorneys in Westchester. Distinguished Service Award – Westchester County Democratic Committee. Community Leader Award – UJA Federation of New York – Westchester Business Professional Division – 2000. Leadership Award recipient from Mt. Vernon Neighborhood Health Center – 2016. Mr. Weingarten participated in presenting the CLE Program “Emerging Issues and Innovations in Land Use Law” at Pace Law School. He was a guest lecturer at Pace University, for Prof. John R. Nolan’s Land Use Class entitled “The Lawyer’s Role in the Large Scale Real Estate Transaction” and lecturing on urban redevelopment. Mr. Weingarten delivered a lecture before the Delegation of Chinese Judges from the Higher People’s Court of Chongqing Province, China.